I swear, it’s magic. 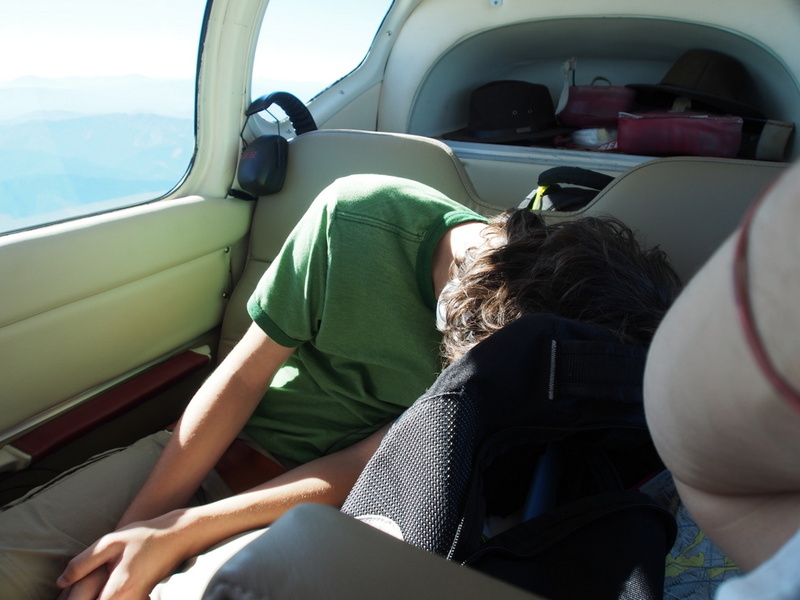 Devon and I dragged Jeremy out of bed at eight this morning and piled him and a duffle of clothes into the back of the plane. Launched north over the central valley, trying to get clear of the crazy heatwave (and yes, dispersing burnt petrochemicals in our wake to exacerbate the situation. Yeah – sorry about that.) Two and a half hours later, we were sitting outside in the shade of the Starduster Cafe, in Independence, Oregon. 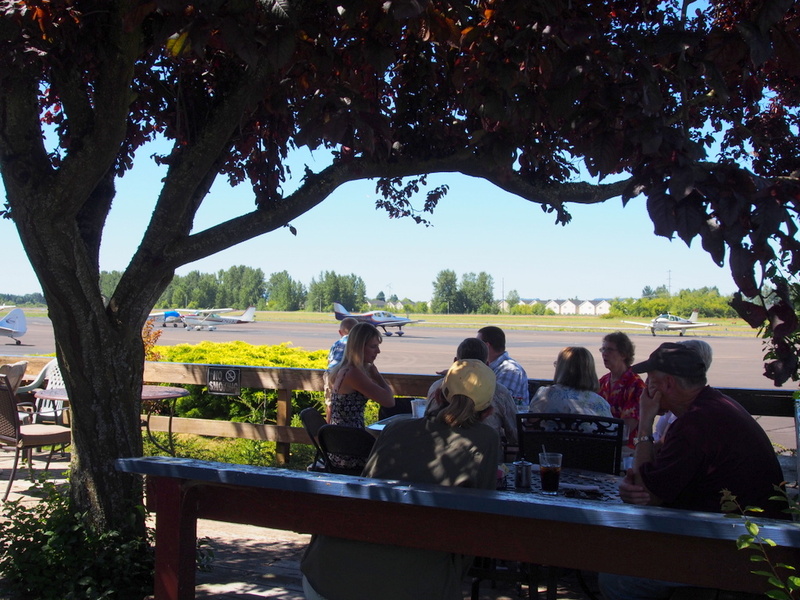 Chatting with other pilots over our burgers, tater tots and onion rings, admiring day and critiquing landings by constant circuit of Champs, Taylorcrafts and occasional RV-6. 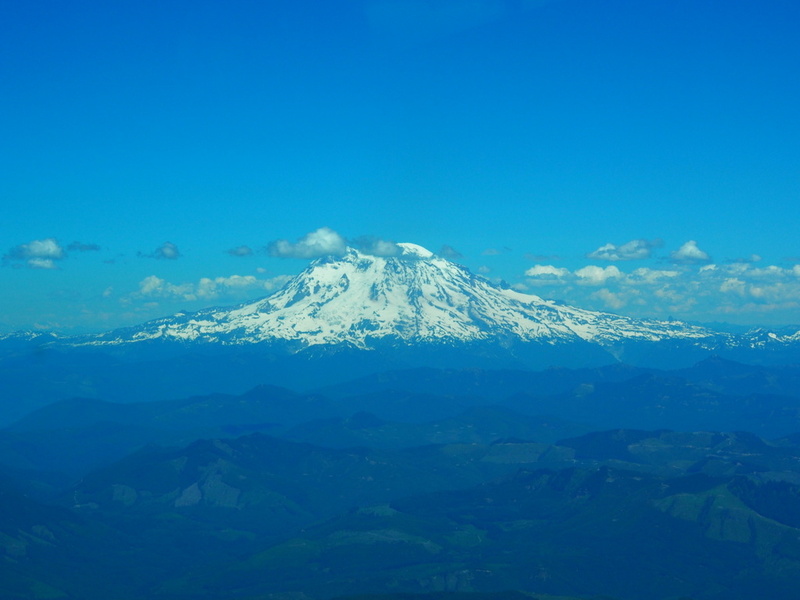 Then another hour north, past Mount St. Helens and Rainier, and down low over the water of the islands. Past SeaTac, right turn at Vashon, report at the reservoir and expect left traffic for 31 Left – and here we are: in Seattle.